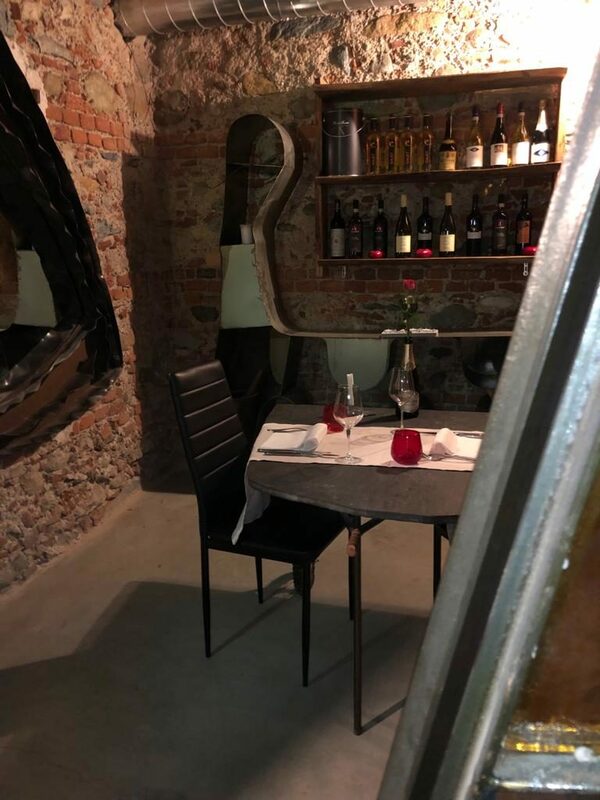 Welcome to Osteria Nuova Torino, our unique restaurant in the center of Turin! We offer a simple cuisine inspired by the Piemontese tradition, trying to make it actual, sometimes adding a touch of creativity, but always with great respect for the raw material, the season and the territory. It is not necessary to go far from Turin to find enological excellences, this is the reason why most of the wines in our wine list are from Piedmont! We can boast a unique and suggestive location, divided on two floors with different characteristics. Entering our restaurant, you find our social table made from a single slab of marble, the best place for an aperitif! The rest of first floor is inspired by a domestic environment, comfortable and able to make our guests feel immediately at ease. Going down the suggestive iron staircase you get instead to our “infernot”, or the old cellars characterized by exposed bricks, the floor is divided into different communicating rooms. Every day from Monday to Friday we offer a quick and cheap lunch. In addition to some dishes of our menu, we offer a different dish every day, prepared according to the availability of the market. Our location on two floors divided into different areas is ideal for hosting events of various kinds, both private, such as birthday parties or graduations, and corporate dinners . We offer different solutions, not only dinners, but also aperitifs or standing dinners, suitable for all tastes and all needs. Write us for any information or curiosity, on our menus or on the various options available to organize events in our unique location.